Follow us on social media to see the latest news about WolfQuest 3! Learn more, download the Mac/Win demo or buy the game. 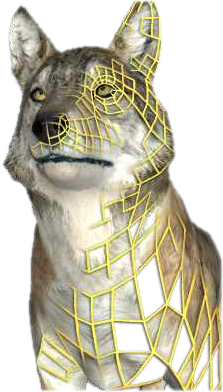 What's New in WolfQuest 2.7? In 2015, we released this updated version of WolfQuest, which features improved and refined gameplay and graphics, a new player account system with achievements, friends lists, and more, plus a rewritten animal AI system, hundreds of bugfixes, and a new map to explore in single and multiplayer games. Available now for Mac and Windows computers, and for iOS, Android, and Kindle devices! We are currently working on WolfQuest 3: Anniversary Edition, a major remake and expansion of the game. We expect to begin releasing it episodically in early 2019. Get the latest info in our developer's blog. WolfQuest's online forum is a community of fans who discuss the game, learn about wolves and conservation, share personal wolf artwork and stories, and make friends with others who share a love of wolves, wildlife and WolfQuest. Go to the forum. August 4, 2017 — Announcing WolfQuest 3: Anniversary Edition! Read about it in our Developer's Blog. September 17, 2016 — Mobile! 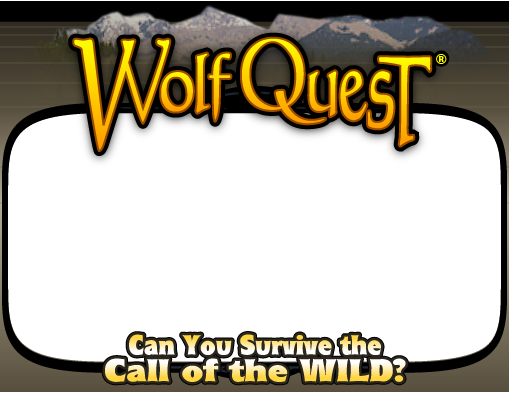 Play WolfQuest on iPhone, iPad, Android, or Kindle! Read more about iOS and Android/Kindle versions. March 28, 2016 — Now on Steam! WolfQuest is now for sale on Steam -- but if you already purchased it on itch.io, you can claim a Steam key! Read more! February 18, 2016 — WQ Music Extras! Buy the complete soundtrack and 25-minute video with composer Tim Buzza Go get it! 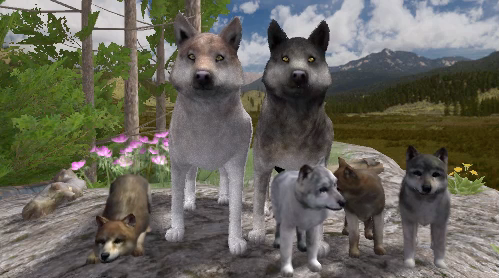 November 17, 2015 — WolfQuest 2.7 released for Mac and Windows! Read all about it here and here. For Mac & Windows computers! You can also buy the game on Steam or the Humble Store (to get a Steam key). We receive a smaller percentage of money from purchases on Steam or Humble compared to itch.io, so we always prefer that you purchase on itch.io, then claim a Steam key to get it there. But you're welcome to choose your preferred marketplace.